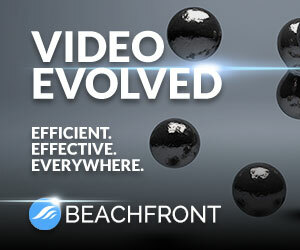 The data shows how synergistic video has become with the larger Prime service, as well as its growing importance. Back in April, 2015, a survey by Strategy Analytics said that 59% of Prime members watched video, slightly behind the 63% of Prime members who said they watched Netflix as well. The new IBM data could also imply that Prime members who also subscribe to Netflix as well are now watching more video on Prime than on Netflix. Regardless, the IBM data underscores how savvy Amazon’s move to include video within the Prime service has turned out to be (and yes, I concede I was initially skeptical). In a recent interview with Recode (see 37:32 cue point), CEO Jeff Bezos shared that people trying out Prime who also watch video convert to membership at a higher rate than those who don’t watch video. 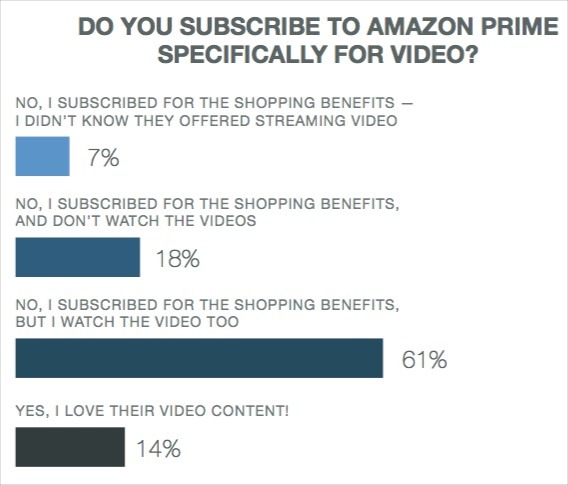 In addition, existing Prime members who watch video renew at a higher rate than those who don’t watch video. All of this is critical because Amazon has long said that Prime members spend far more on Amazon than do non-Prime members. Bezos said Prime has become a “physical digital hybrid membership program,” that is “unlike anything else” out there. As a result of a “flywheel” effect where video helps drive Prime and purchases, Amazon can charge less, in effect, for premium video, by simply including access to it for no extra fee. That should be gigantic warning flag to everyone in the TV/video business including Netflix, Comcast, Dish, etc. about how Amazon is changing the value proposition for paid video services. Beyond the Amazon specific data, IBM also found broader SVOD strength. Two-thirds of respondents said they use an SVOD service and of these viewers, almost half of them use SVOD as much or more than their pay-TV service. Among millennials though, 72% said they watch SVOD as much or more as pay-TV. Meanwhile connected TVs have emerged as by far the preferred way to watch SVOD, with 43% of respondents saying this is the way they watch most often. Interestingly, smartphones followed (cited by 15% and tied with Desktops) and then game consoles (cited by 12%). This reinforces why the new Comcast-Netflix integration makes so much sense for viewers and for the companies themselves. Fortunately for SVOD services, password sharing appears to be less of an issue than has been reported by the media. IBM found that 48% of respondents don’t share their passwords at all. And of the 46% that do, practically all of them only do so with family members. Amazon Prime members are especially reluctant to share passwords, with 62% saying they don’t. Here again, Prime’s commerce tie-in works to Amazon’s advantage, muting sharing’s appeal. There’s a lot of other useful data in the IBM survey including why people initially subscribed to an SVOD service, why subscribers cancel SVOD services and how frequently different technology-related problems are experienced, among other things. Connected TV: Why Is It So Important - And to Whom?